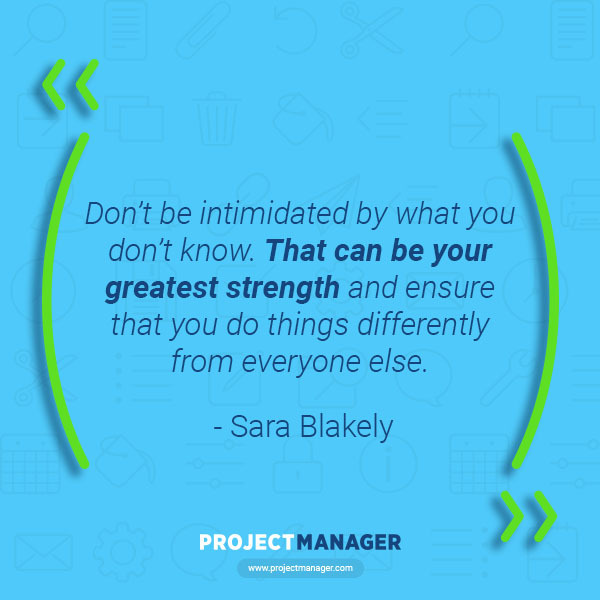 If Thomas Edison was right when he said, “Genius is one percent inspiration and ninety-nine percent perspiration,” then consider these leadership quotes the one percent. Because sometimes, you just need that little bit of inspiration to get over those humps as a manager. 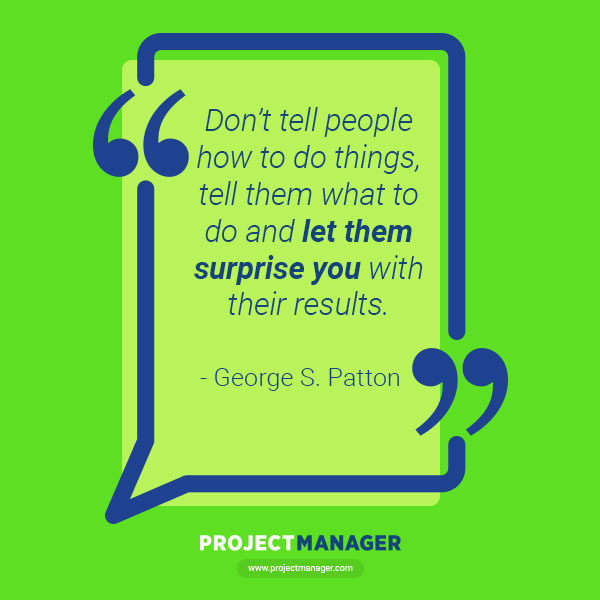 Quotes from great leaders can help you put things into perspective by providing a different angle that you had not previously considered, which can unlock the leadership magic that you need. 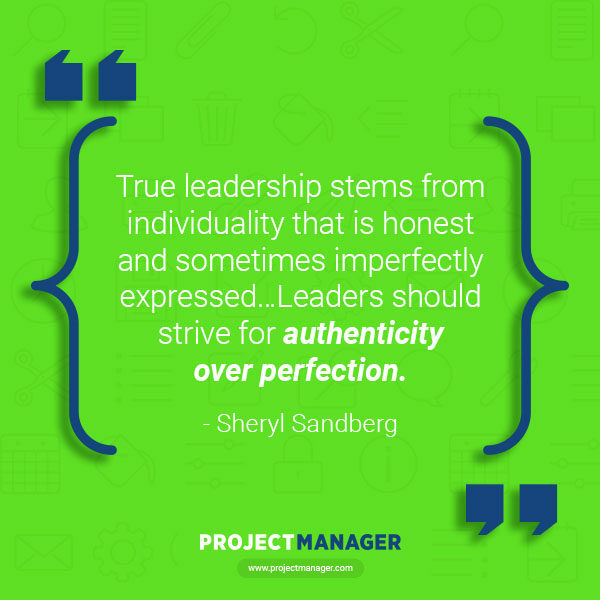 So, we’ve collected 25 of the most inspiring leadership quotes to give you that extra boost. We’ve also made them into little motivational placards that you can share or print out and place around your work station to help you out of those momentary lapses into doldrums. Okay, realistically, some things are impossible. You’re not going to live forever or be able to lift a skyscraper over your head. But it’s the thought that counts, and it doesn’t hurt that the thought comes from the talented, classy and beautiful actress Audrey Hepburn. 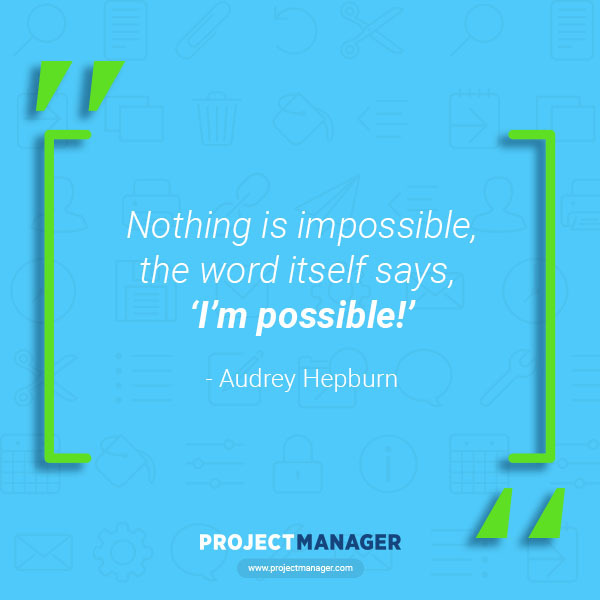 What she’s really saying is that if you look at what appears impossible, there are likely possibilities inherent in it if you just look at it creatively. George S. Patton was a general, which is in fact one of the most important positions of leadership there is. He was responsible for the lives of hundreds of thousands of soldiers during WWII. If his leadership faltered, more than just a project was at risk. He understood that once you have assembled a crack team of experts and provided the right tools for the job, just give them goals and let them get there. That’s what they’re trained to do. 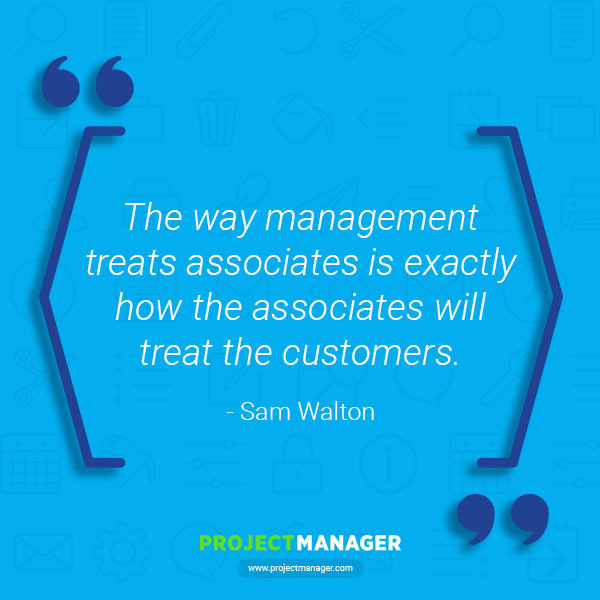 Walmart founder Sam Walton built an empire on having the products people wanted, at a price they could afford. But he also knew that customer service was just as important as the low prices. Like the Walmart greeters who say hello as you walk into the store, the right attitude is how one polishes rather than tarnishes their brand. Inventor, engineer and head of research at General Motors for decades, Kettering was responsible for innovations such as the electrical starting motor and leaded gasoline. He’s a bit long-winded here, but he wasn’t a writer. The gist of it is that you should never give up. It’s in the work where solutions are revealed. Sara Blakely founded the shapewear company Spanx. She understands that not knowing something isn’t ignorance if you’re willing to learn. While you might not approach the subject in the traditional sense, that isn’t a bad thing. In fact, it could be good. You can discover new solutions others never thought of because they were too wedded to doing things a certain way. Lean In author and Facebook COO, Sheryl Sandberg has a little bit of experience as a leader. She understands that perfection is a quixotic quest. Perfection is not possible in the real world, and anyway people don’t respond to perfect. They follow authentic leaders who inspire, and inspiration is something contagious, not unattainable. You might not expect the man who came up with Mickey Mouse and the happiest place on earth to choose such violent imagery. But it’s only a metaphor for failure, which is part of any creative process, and often just the sobering event needed to recalibrate and continue to success. Former British Prime Minister Tony Blair has hit on a key aspect of leadership. It’s not people-pleasing. 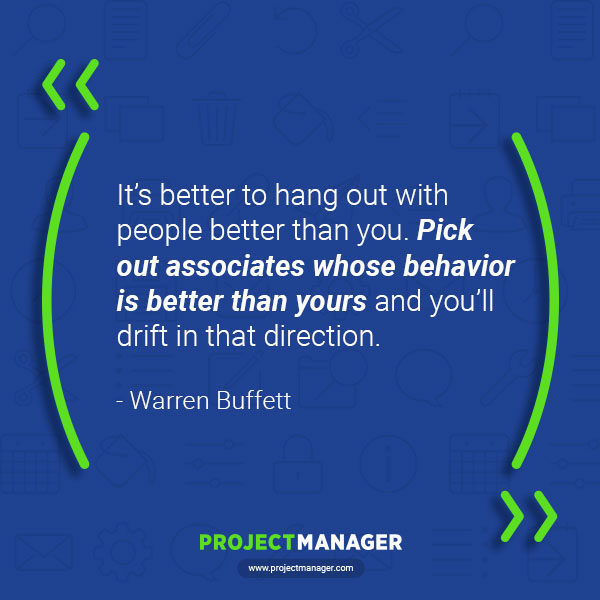 Sometimes you must make decisions that not everyone will like, whether those people are on your team or the stakeholders you report to. 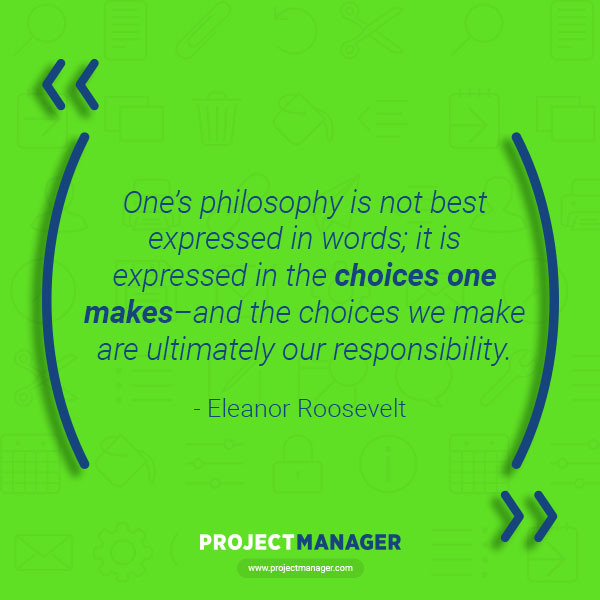 A leader makes these hard choices not based on people’s feelings, though they’re not cruel, but on what’s best for the project. Eleanor Roosevelt was more than a First Lady, she led many good initiatives in her time in the White House and after. Of course, communications is a foundation of leadership, but without actions, it’s meaningless. This quote is another way to saying that you should lead by example. 10. 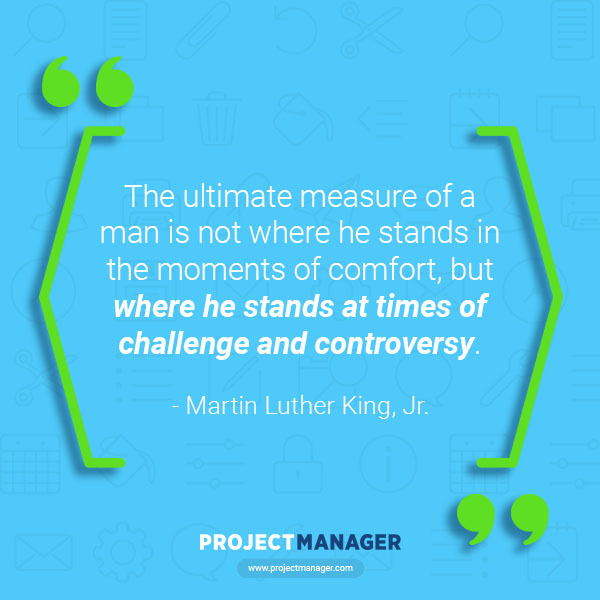 “The ultimate measure of a man is not where he stands in the moments of comfort, but where he stands at times of challenge and controversy.” – Martin Luther King, Jr. While most managers are not likely to face the moral and ethical issues that Martin Luther King, Jr. faced in his battles for civil rights, the sentiment he shares is relatable. 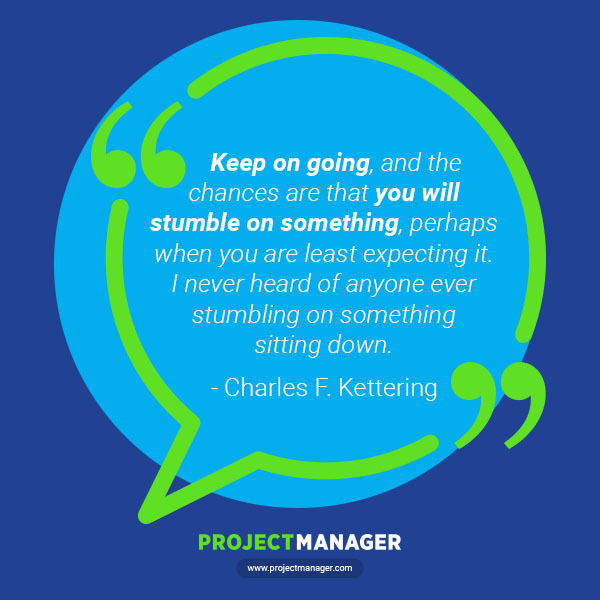 You don’t judge a leader when things are running smoothly. 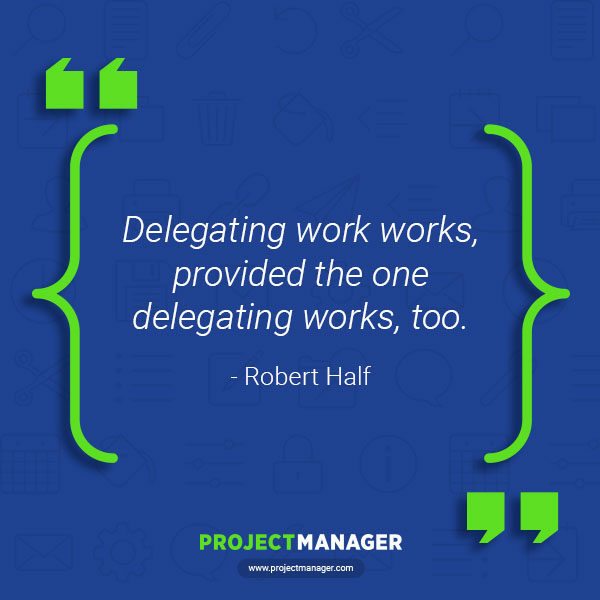 Anyone can lead a project when it’s running like clockwork; it’s when the problems come that the real leaders show themselves. Yes, it’s a joke. But like most good jokes it makes you think, which is serious business. Basically, what the comedian is saying is that arrogance has no place in leadership. 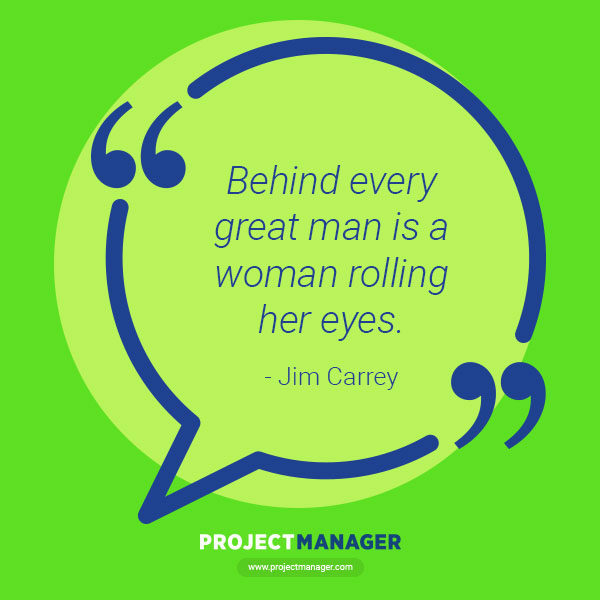 The arrogant leader might think they’re great, but whether it’s a spouse, team member or stakeholder, anyone with a set of eyes can see what’s really happening. No one knew better than coach Vince Lombardi that football is a game driven by leadership. Whether that’s the quarterback or the coach, it’s all strategy. Brawn helps, but no matter how much muscle you have, if you’re not working hard to get the skills you need to work them, all that strength will get you nowhere. Business tycoon Richard Branson has been successful in many industries because he understands the importance of prioritization. Leaders need to make those lists of where their attention should be focused first, second and third. Know that, and you’re ahead of the game. 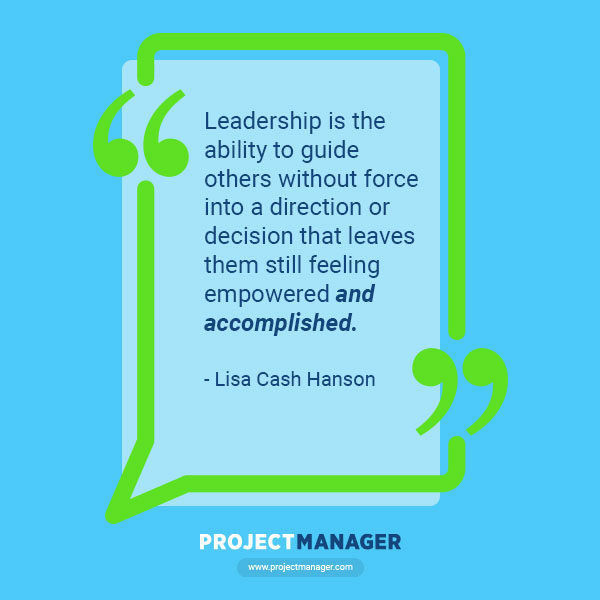 The CEO of Snuggwugg Baby Gear, Lisa Cash Hanson, offers another view on leadership, one that is based on persuasion and getting people to want to do what needs being done. They’re more productive that way, have buy-in and will see value in their work. Warren Buffett is chairman and CEO of Berkshire Hathaway and the symbol of business smarts. He knows that as informed as he may be, there are always others who have more knowledge, skills and experience. Therefore, a great leader surrounds themselves with their betters, and as a result, everyone excels. The great Russian writer knew a thing about taking your time. Have you ever tried to read War and Peace? While sometimes an accelerated timeline won’t allow for patience, it is always better to not rush into things. 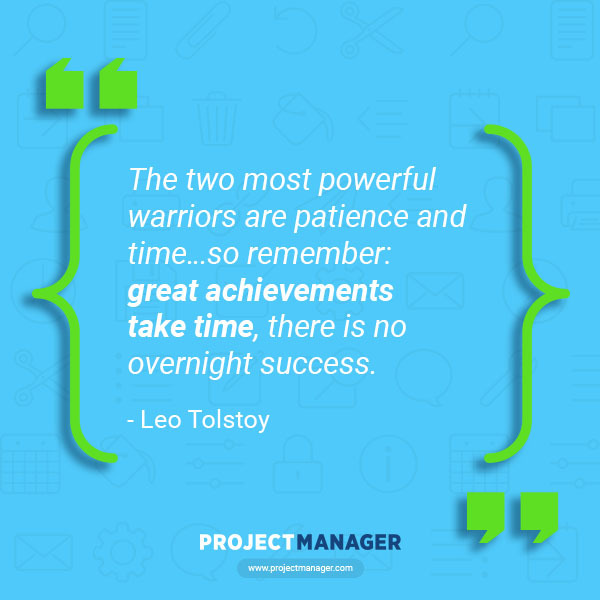 Know that patience and persistence are the formula for success. 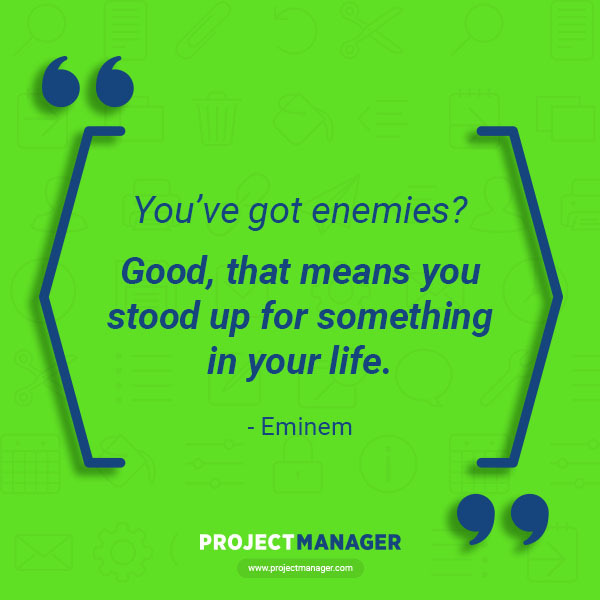 Rapper Eminem has enemies, but so does anyone with a point of view. If everyone agrees with you then you’re doing something wrong. Don’t cultivate enemies, but understand that leadership means you’re going to ruffle some feathers. 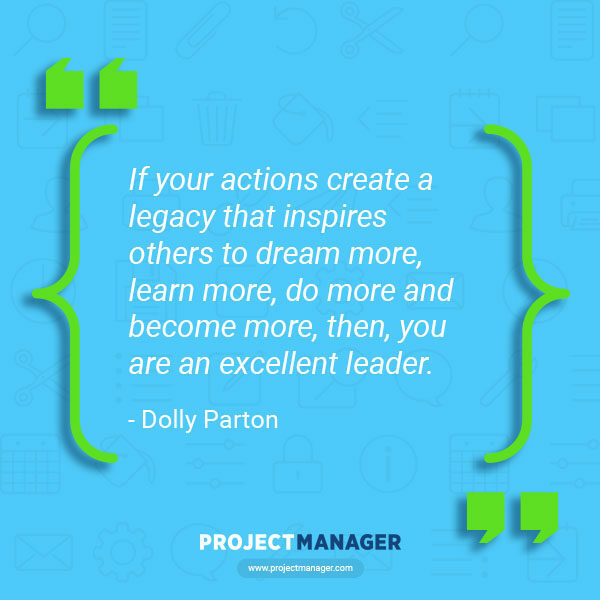 While a manager might never influence as many people as country singer Dolly Parton, they must inspire. If they can’t create a vision and motivate the team to follow it, then they’re not really leading. Certainly, civil rights hero Rosa Parks was fearless when she refused to sit in the back of the bus. Leaders must be fearless, too. 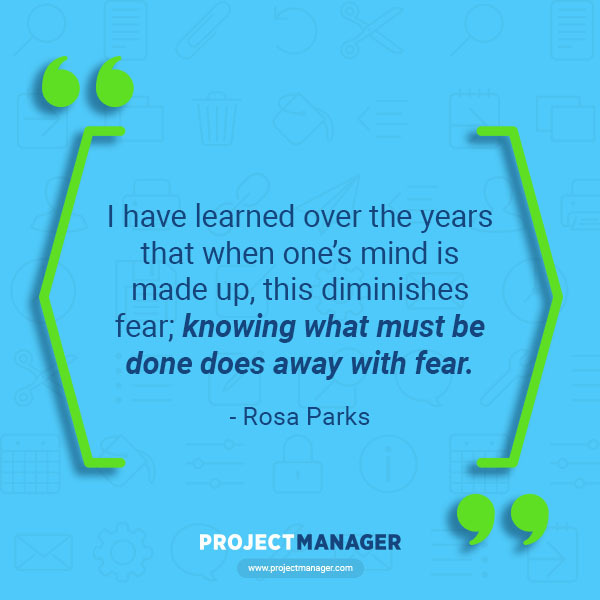 As she points out, there is always fear, but it’s manageable and can be worked through when you’ve done the due diligence and set your mind to the task at hand. Sometimes you must boil things down to their essential elements, as Lee Iacocca does. 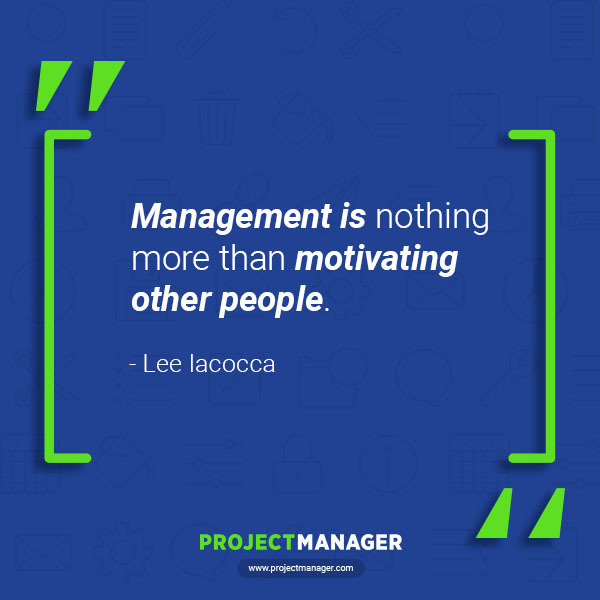 A manager or leader is really nothing more than a motivator. They grease the wheels of production and get things done. 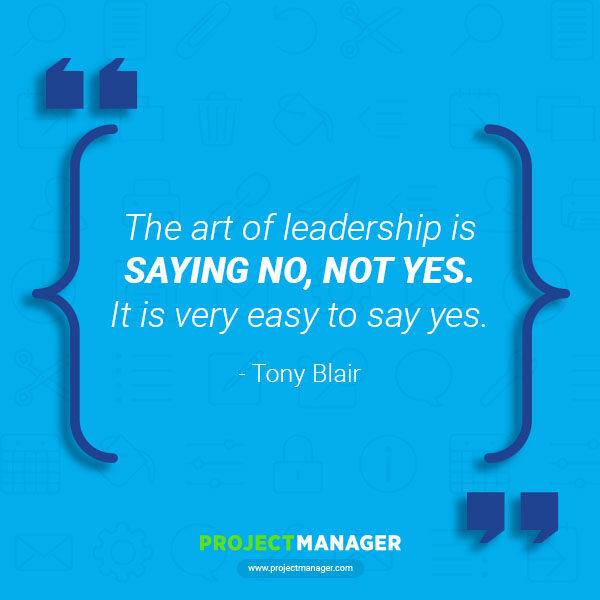 Read more about leadership vs. management. 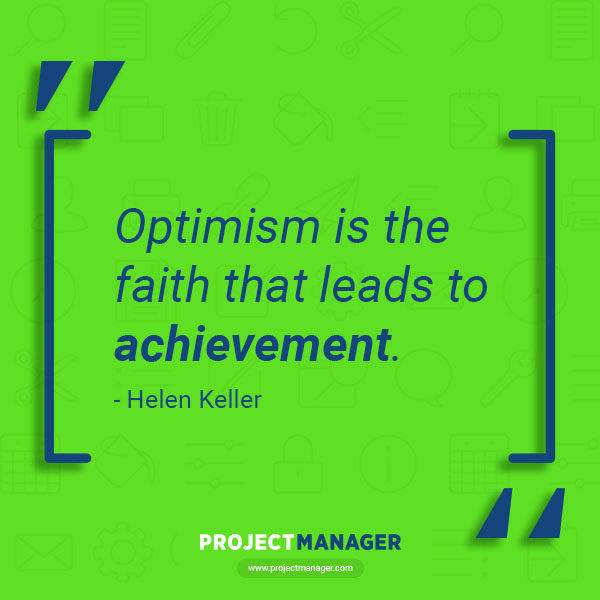 Few people have faced as many hurdles as Helen Keller, but being deaf, dumb and blind were not enough to stop her from succeeding. Part of any success, as she puts so succinctly here, is that you must have a good attitude. It helps keep you focused on the next step and rallies the troops behind you. The founder of Robert Half Staffing knows a thing or two about what works. Leadership is about not taking everything on yourself but sharing responsibility while not shucking your part. 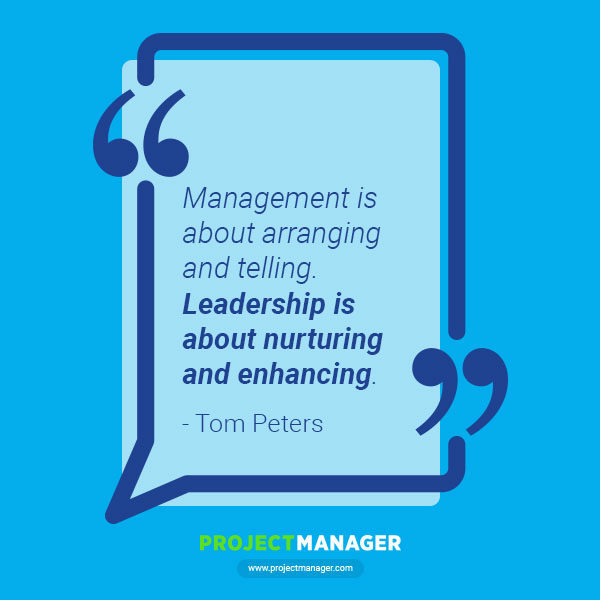 Management guru Tom Peters sees management and leadership as two differing and complementary disciplines. One is more about systems, the other about people. Together they are unstoppable. 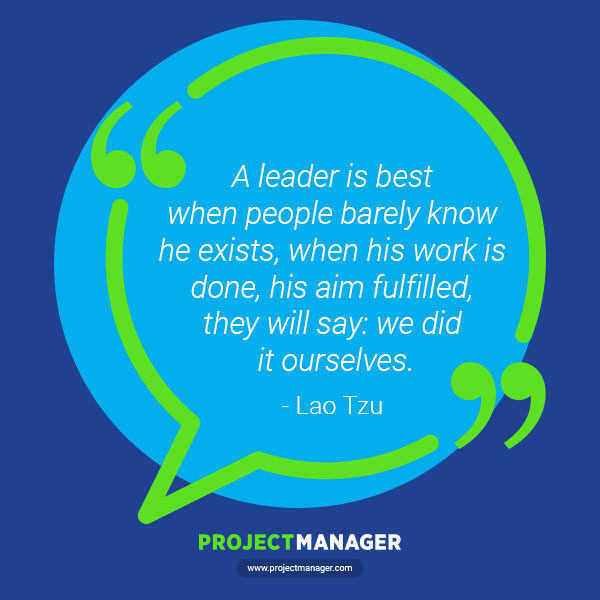 The Chinese founder of Taoism Lao Tzu sees leadership as a stealth practice. 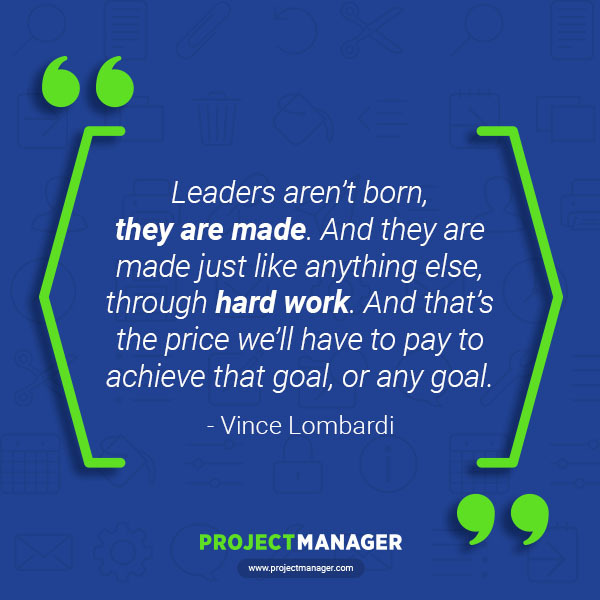 The leader is part of every aspect of the project without overbearing it, inspiring others to take charge and work hard, so they feel as if they did it themselves. But the leader’s fingerprints are on everything. This quote is a great example of the transformational leadership theory. Aviator Amelia Earhart speaks to the need for flexibility in leadership. The rigid leader is going to break, and with that rupture, the whole project will be put in jeopardy. However, if a leader is nimble, can compromise and knows what to fight for and what to let go, the path forward is clear. Good leadership is supported by many things, from teams to tools. 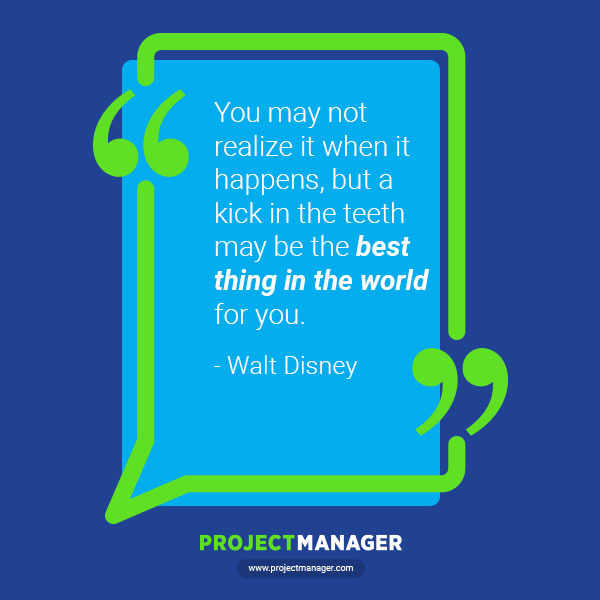 Once you’ve assembled a great team, it’s time to get great tools to help them and you. 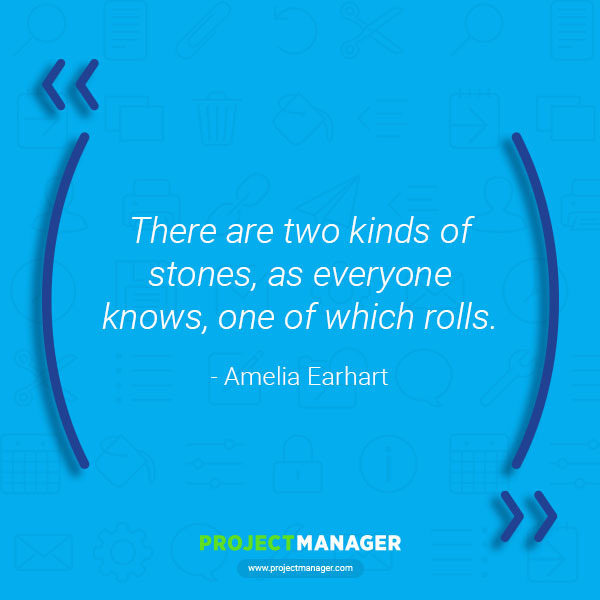 ProjectManager.com is a project management software that is cloud-based, with a real-time dashboard, online Gantt charts and fosters collaboration. Make a leadership decision to try it today, it’s free for 30-days with this trial.